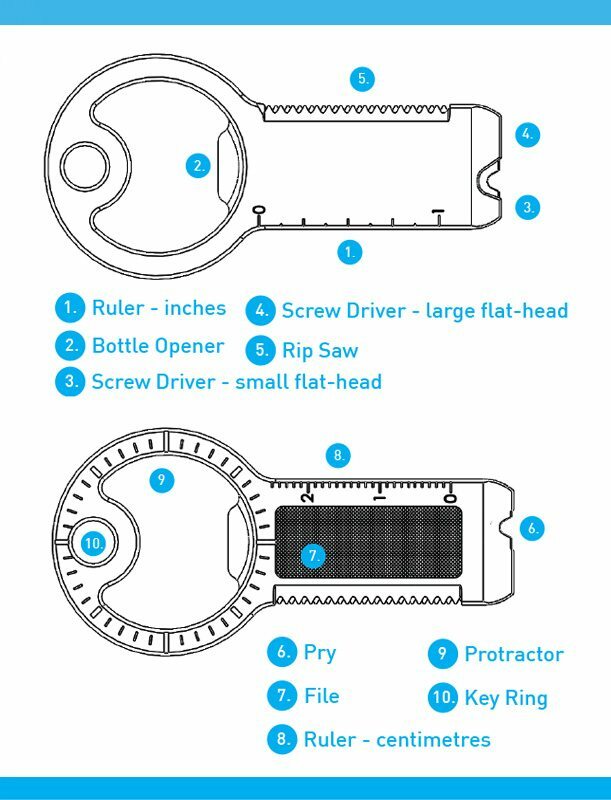 The UtiliKEY is a multi purpose utility tool that includes 10 handy tools in one convenient design. 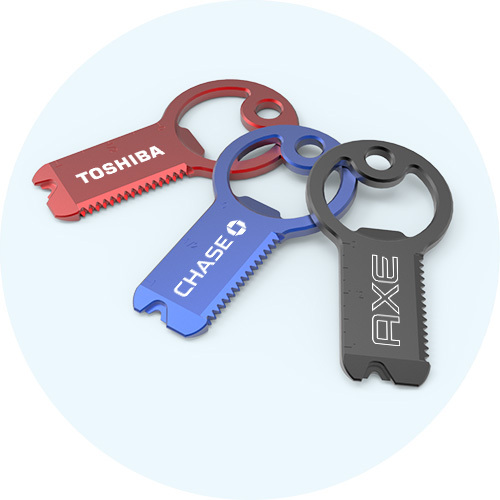 The UtiliKEY is small enough to hang from your keychain; ready for any of life’s little emergencies. 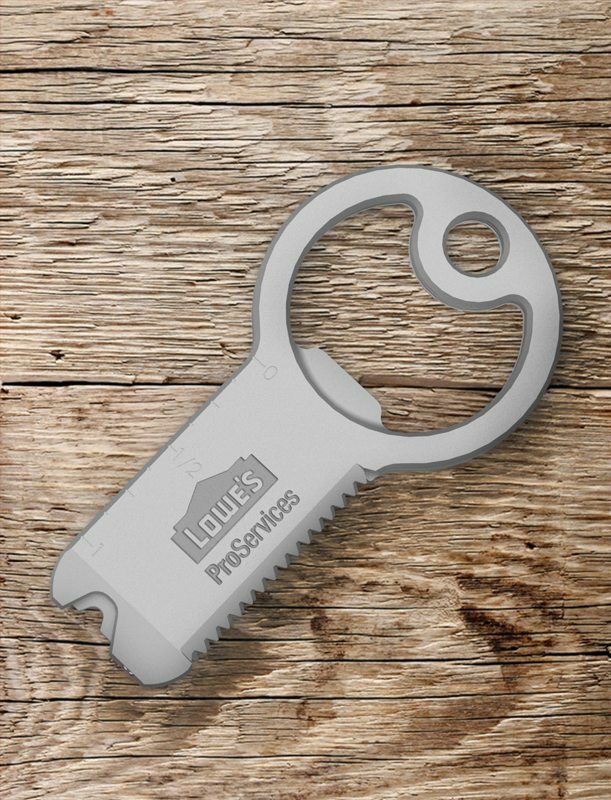 Integrated tools include a bottle opener, rulers, file, rip saw, flat head screw drivers, pry and more. 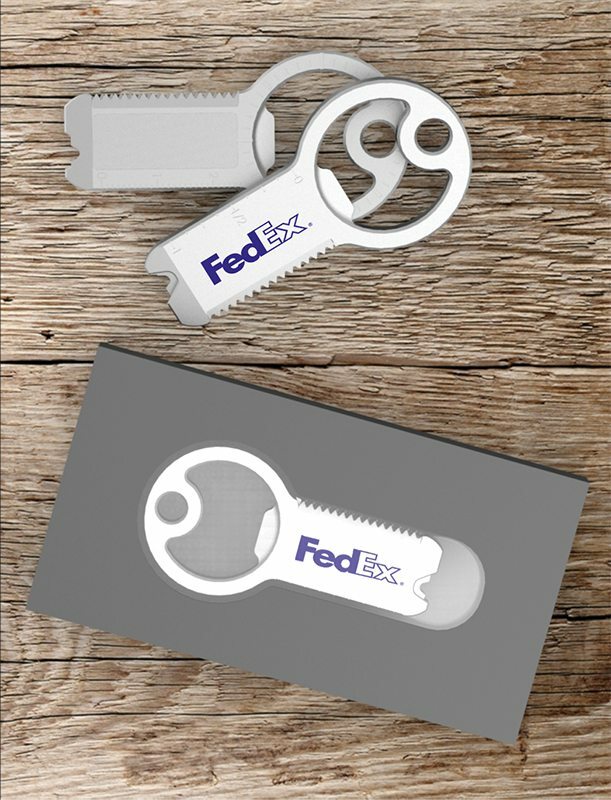 This product can be digitally printed with a 4CP corporate logo on the Zinc (Silver) or have the logo etched on the Aluminum (Red, Blue, Black). Two packaging options available: clear polybag or black gift box with optical window. Custom packaging options are available. 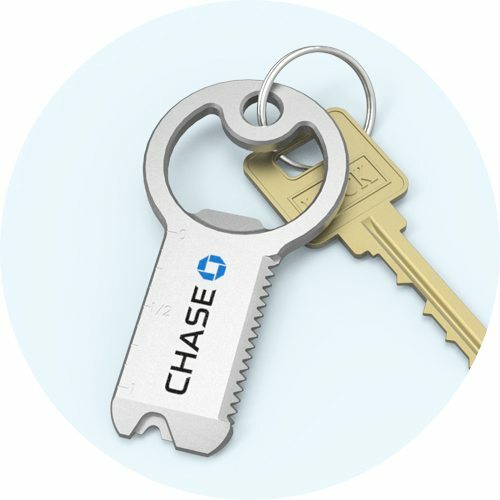 The UtiliKEY features 10 tools built into the design of one product. Products include rulers, screw drivers, protractor, bottle opener and more. 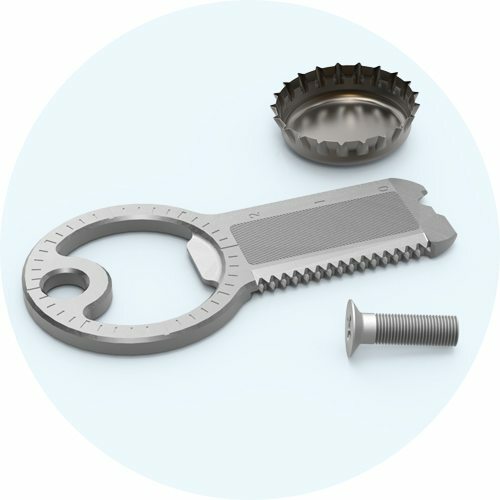 A complete list of tools can be found toward the bottom of this product page. 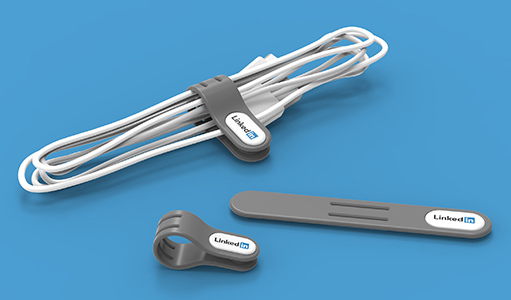 The UtiliKEY has a variety of handy tools to help with life’s little emergencies. 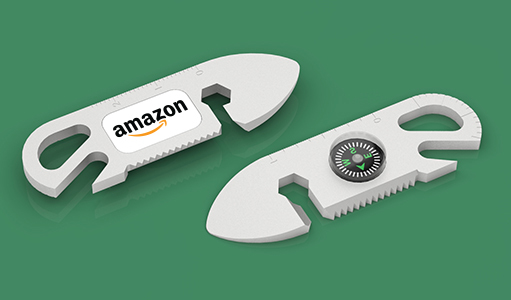 This multi purpose tool was designed for convenient portability. 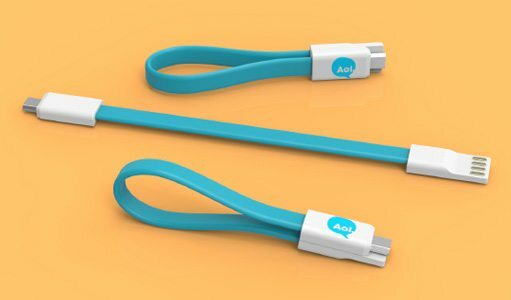 The supplied metal loop makes adding it to a keychain or backpack easy. Pick the best Utilikey for your brand! Now available in four different colours: silver (zinc), black, red and blue (all aluminum). Choose between two packaging options to best fit the budget. 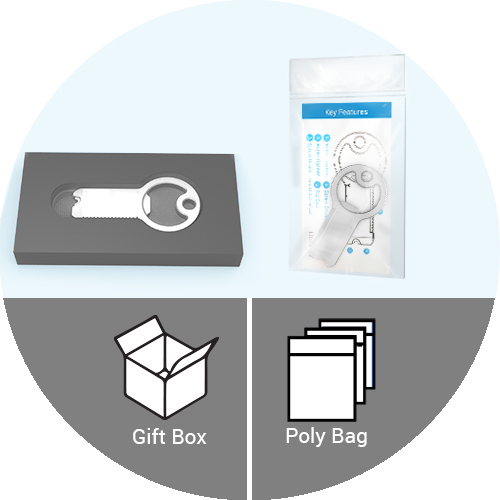 Gift Box or Poly Bag.